I am not super excited about the “Menurkey” because I didn’t think of it first. Still, I cannot ignore this once-in-a-lifetime convergence of Hanukkah with Thanksgiving, and I happen to need a commemorative menorah for our religious school Chanukah program. Sure, I could have supported the worthy Kickstarter Menurkey, but I am a Maker myself and I am the cheapest woman I know. I found a generic ceramic turkey—sans candleholders and accoutrements—at Michael’s craft store today for 7 bucks. I went there only to buy adhesive googly eyes (because you can never have too many adhesive googly eyes), when I saw the shelf of unloved birds, half price. So, I resorted to super glue and hex nuts. I used Goop glue, but any instant bond glue will be fine. (Make sure the label includes ceramic and metal.) My bond was not as instant as I wished, so I had to use blobs of clay to support each heavy hex nut as it dried. 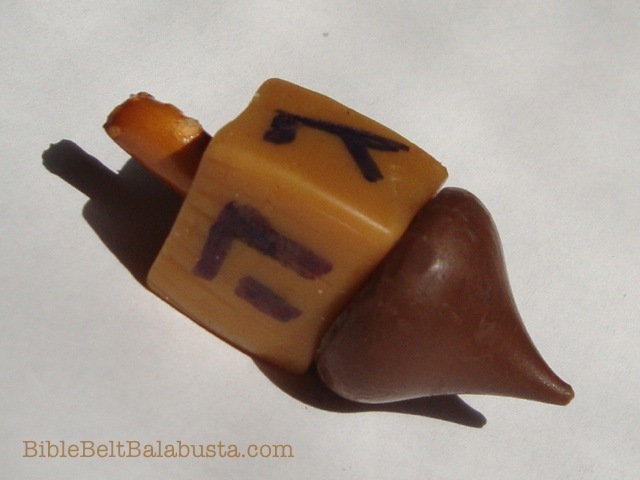 By the way, the perfect size hex nut to hold a standard, cheapo Hanukkah candle is 3/8 inch. Get the zinc-coated, not the galvanized, and you will save yourself a bucket of money. I just bought 700, so this I know. The only tricky part was fiddling with the angle of the hex nut and the spacing. I didn’t want the candles getting too close or leaning over. Duh. My English oak tea trolley will forever bear the scars of an unattended menorah of yore. Add adhesive googly eyes (what did I tell you?) because the bird was white-eyed and creepy, a blue Avery label kippah (yarmulke) and a teddy bear tallis, and the Hanukkah Turkey Menorah is ready for its 15 minutes (or 8 nights) of fame. Easier version: If you don’t want to deal with the hex nuts and clay, save yourself time by just using superglue and those old-timey birthday candle holders. I’ve written about the latter in my post about making a Dinosaur Menorah (Menorasaurus). You’ll use birthday candles instead of traditional-size Hanukkah candles, so stock up at the dollar store. My turkey’s box of candles just happened to be comprised of the most un-festive colors: olive drab, sallow peach, faded violet, dirty yellow and one red. 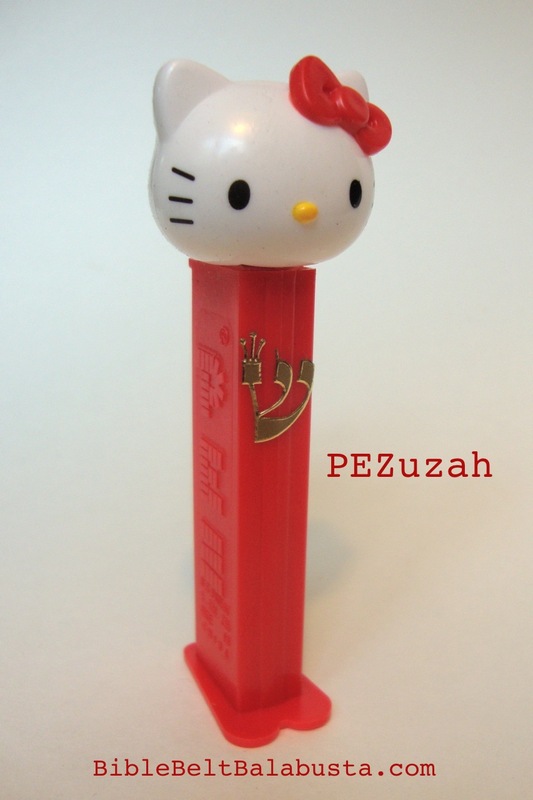 Perfect for Thanksgiving colors, but rather muted for ordinary Hanukkah brightness, what? And, by the way, I’d bet money—or a bag of adhesive googly eyes—that these candles, made in China, are primarily lard. I’d know that smell anywhere, and my dog lies in wait, drooling, for a dropped candle. Kosher Note: My post was up not three minutes before I got a comment letting me know (very kindly and sweetly) that my menorah was not kosher. I know. Traditionally, the flames should be in a straight line, with the shammash sited above (usually) or below. 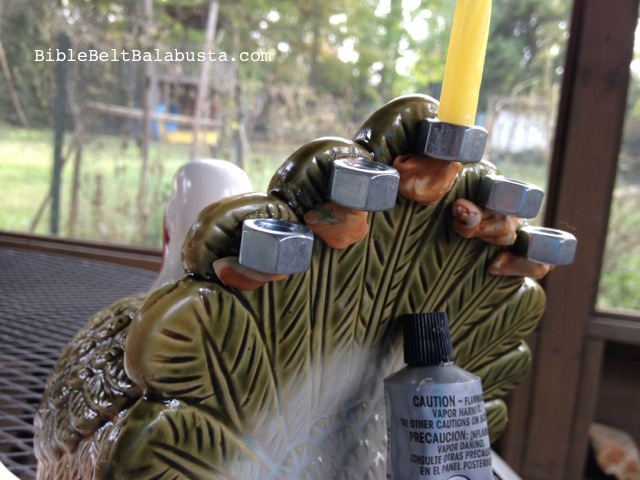 I’ve written about menorah rules in earlier DIY posts, like my not-kosher but fabulous Distributor Cap Menorah, the Menorah-saurus, some of my kosher flameless LEGO menorahs, and others. I love knowing the rules, I love teaching the rules, and I love breaking the rules, knowingly. SAFETY FIRST: Never leave any lit menorah unattended. Always place a menorah on a nonflammable surface to catch any stray drips or fallen candles. If you are concerned about the safety of this or any menorah I’ve written about, do not make or use it. 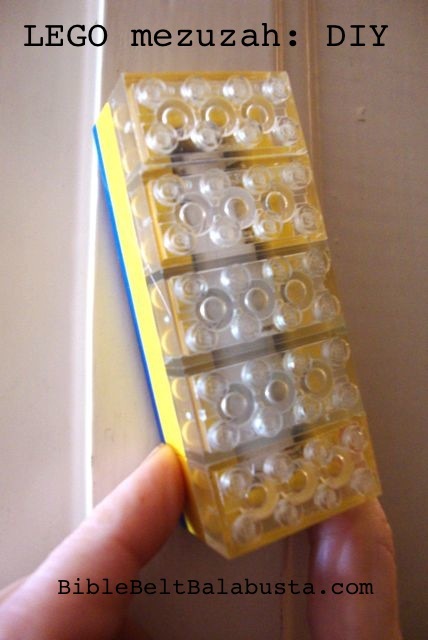 Try an LED tealight version (here and here or here) or flameless LEGO versions instead! 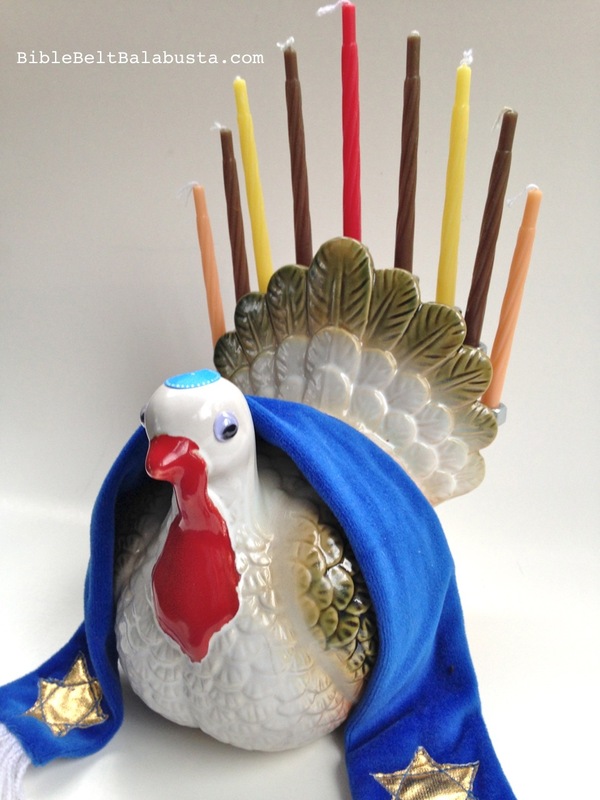 This entry was posted in Crafts, Hanukkah and tagged menorah, Menurkey. Bookmark the permalink. Awesome! It is a Thanksgivukkah miracle!! 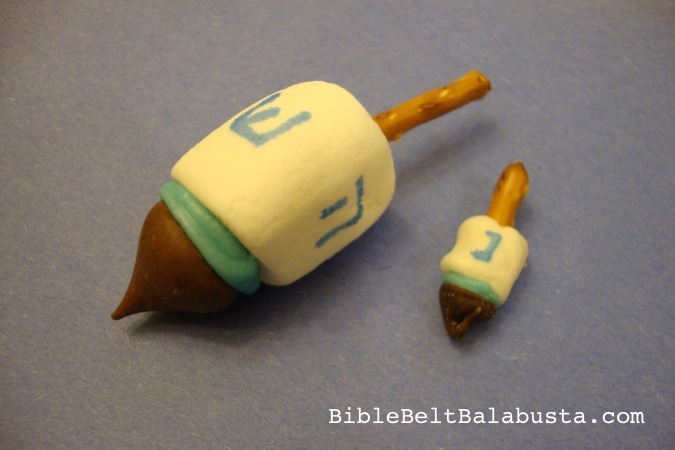 Btw, halachically speaking, the candle holders are supposed to be on one plane (none higher than the other), although a lot of menorahs are made with different heights. Blessings for a wonderful thanksgivukkah! I’m going to Israel on Sunday for Women of the Wall’s 25th anniversary – very exciting. Thanks, Ellen! I am ALL in favor of an edible Menurky. What are munchkins? The doughnut holes? Styrofoam would be a good base, as would be a gigantic pinecone (like the preschool turkey craft). I’m trying to think what would cover styrofoam without going to the effort of paper mache… Michael’s had other turkeys made of wire, and I saw one or two possibilities at Dollar General. I didn’t check Dollar Tree. Nothing at Target here. Good luck and I hope to see a picture! I have been perusing the Dollar Tree in hopes of finding a cheap Ceramic Turkey with the hopes of creating something similar to what you did. 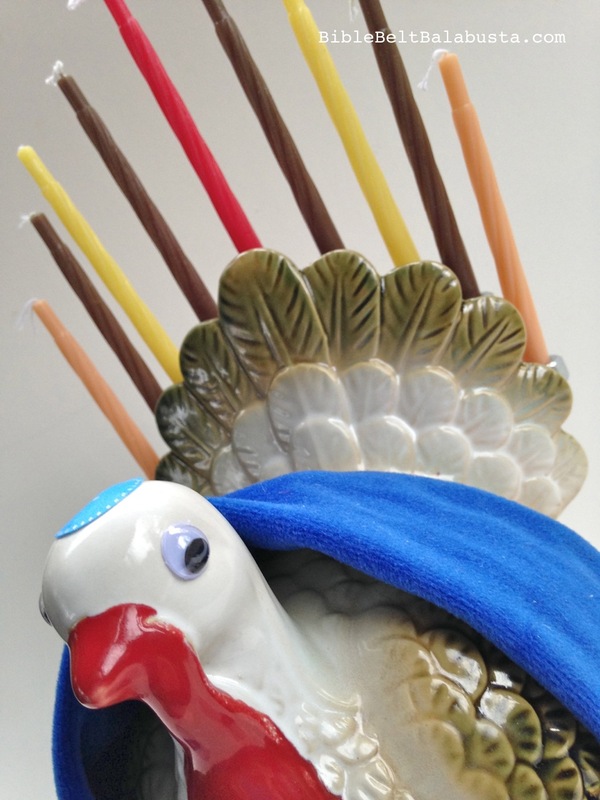 I was inspired by your Menorah-saurus and REALLY wanted to do something with the Turkey. Hopefully we have those same discount Turkeys at our Michaels! You can bet I’ll be heading there soon! Good luck! I didn’t find anything at Target this year, but I didn’t check all the dollar-type stores. If you find a source, holler and I will post it for others. Just found a $4.99 Cermamic Turkey at Ross during my lunch break! Wooo Whoo! It happens to be a gravy bowl so I may create an insert into the opening for a flat candle lay-out. Although even though it’s not “kosher” I love the way the candles look on the tail! Thanks for the tip! I may have to try my Ross and make a second version for synagogue. I’d love to see yours. Can you post a pic on my fb page? Your Menurkey is waaay better than the Kickstarter option. The turkey is perfect kitsch and the kippah and tallit are brilliant. Thank you! I bought this identical turkey today at Michael’s and wondered how the heck to do candle holders. You took the guesswork out of it and reminded me that truly Google is my friend! Glad you found me. And I’m glad you found a turkey to repurpose: they were rarer than I imagined. We just finished ours and here’s a hint that will be helpful for future “Menurkey” makers…if you lay the ceramic turkey face down the weight of the hex nuts won’t pull them off as the glue sets. We used epoxy and had not problem with them trying to move after just a few seconds. Thanks for the tips! Faster glue and face-down turkey. I don’t think I’ve been more excited for a trip to Michael’s! They had a ton at mine (on clearance too!). 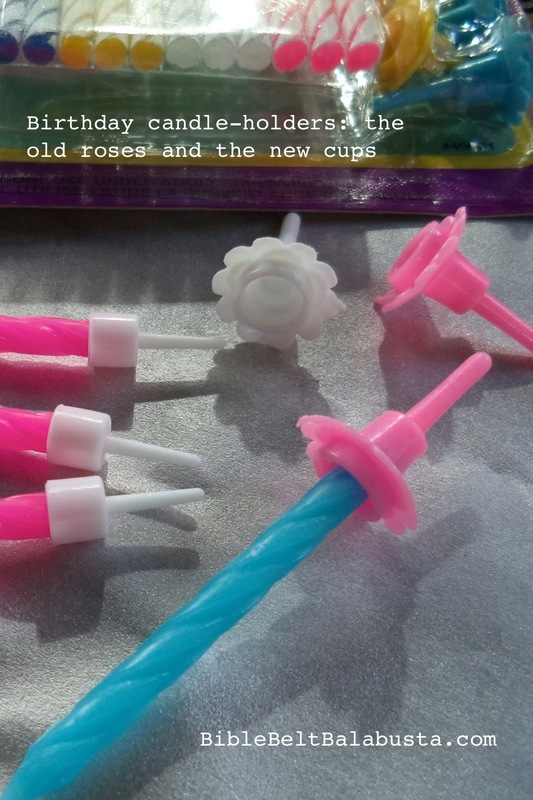 Planning on making the candle holders out of Fimo. Once I track down the davening turkeys, I’m going to do those too. Thanks for the excellent ideas! 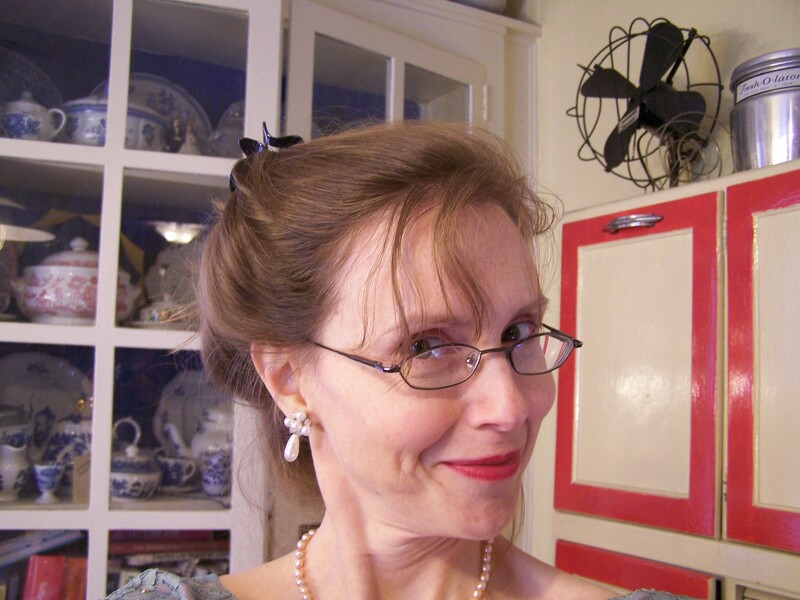 I married into Judiam and brought my husband into very un-Jewish Amish country. Happy to celebrate his faith! I loved this idea. I went to Michael’s and saw 2 ceramic turkeys left. Got the rest of the supplies and am excited to do this today. Thank you so much for sharing your ideas!!!!!! You are a genius! Thank you for the Dollar Tree menurky idea! 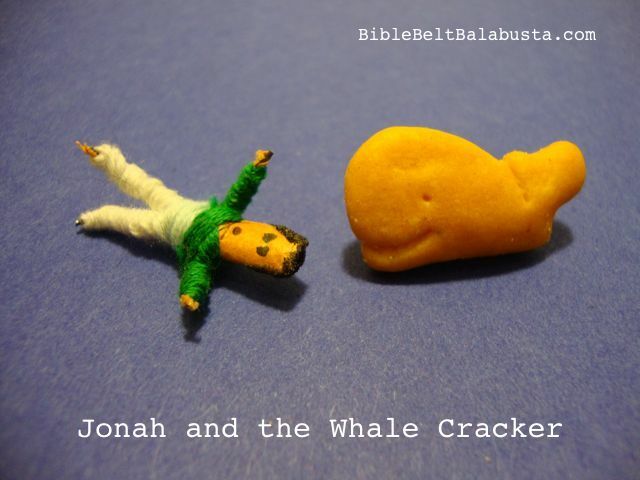 I am going to incorporate it into the hanukkiyot I’ll be making with my preschool class! LOVE, LOVE, LOVE your site! Thanks, Chris, and I’d love to see a pic of the fold-out turkey menorah you wrote me about. Consider posting it to my Facebook page? Have a Happy Hanukkah.